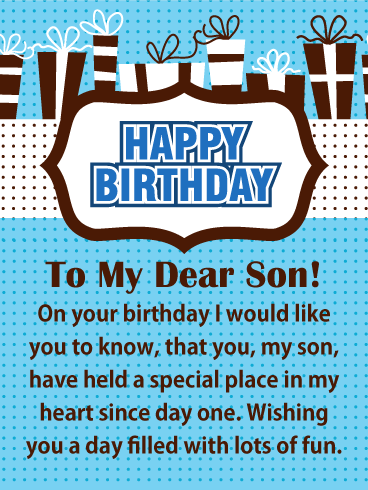 HAPPY BIRTHDAY - To My Dear Son! 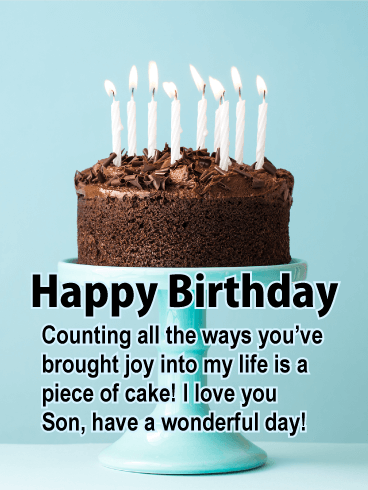 On your birthday I would like you to know, that you, my son, have held a special place in my heart since day one. 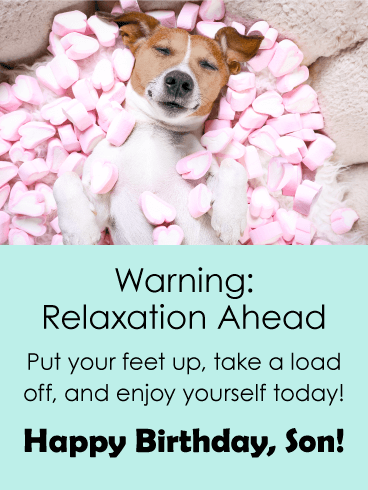 Wishing you a day filled with lots of fun. Sons are just big softies. No matter how cool and grown-up they think they are, as parents we know they are all squishy on the inside...kind of like a gummy bear! 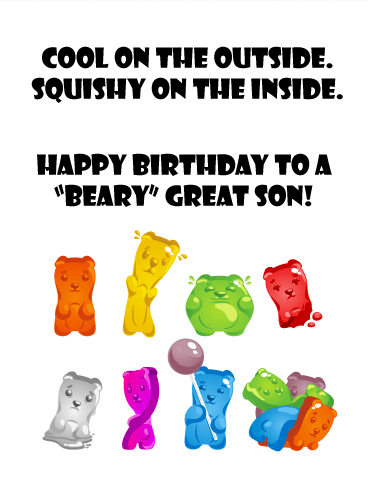 Send this funny birthday card to your son and wish him a "beary" good day! 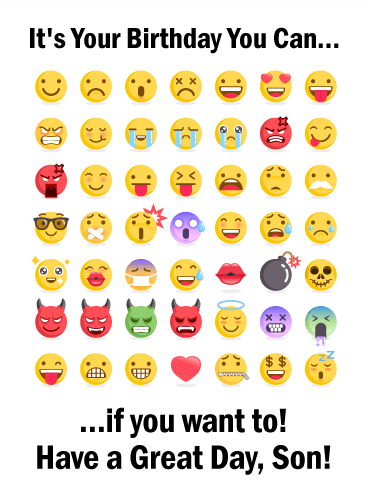 Let him know you see his true colors and love him a lot. This fun and clever birthday greeting card has delicious gummy bears to help wish your son a terrific birthday. Always wanted to tell your son how amazing he is to you, but didn't know how? Here you go! 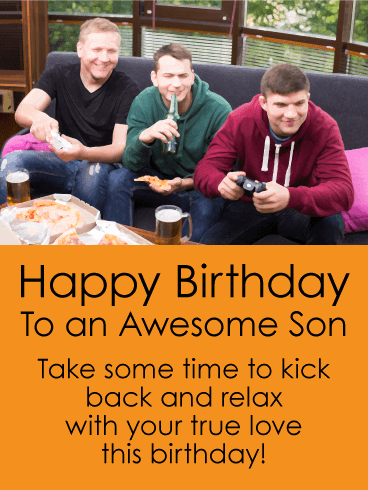 A super funny birthday card is a great time to share your love for your son in a sneaky, silly way! Send this awkward birthday dog getting coated in glitter stars. 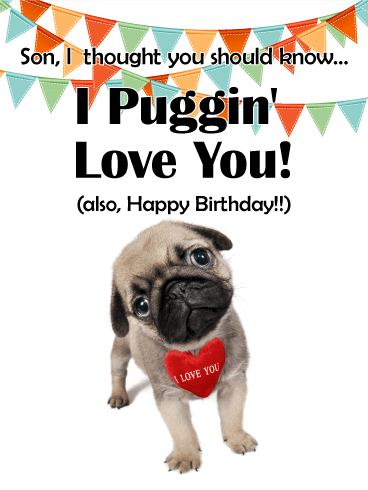 This fun birthday card let's you be sentimental and hilarious-perfect for a son who might roll his eyes a lot but still really wants to know you love him! Raising kids is for superheroes. Give yourselves a pat on the back for all your efforts! Your son is an amazing guy! 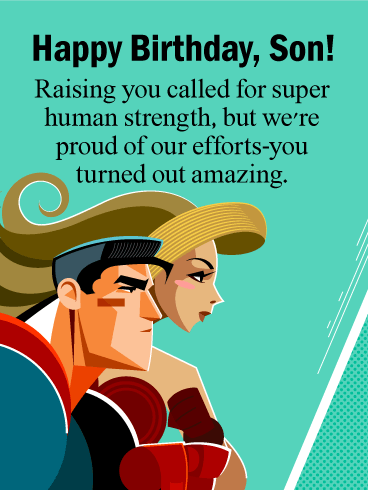 Let him know how lucky he is to have such super parents with a funny birthday card. Let him know he was a handful, but he turned out just fine after all. 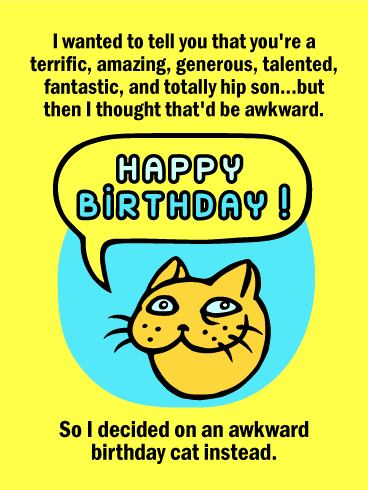 Wish your son a happy birthday in a clever way with this tongue-in-cheek birthday card. It's your birthday you can...cry, laugh, sing, rage, love if you want to! Anything is possible! 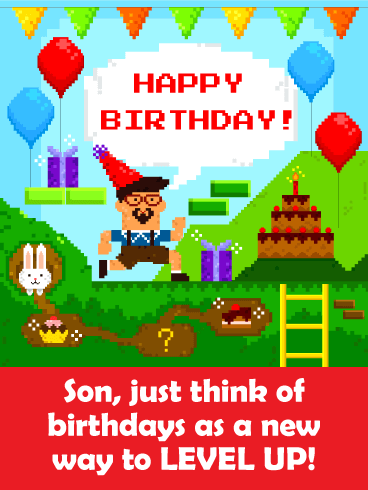 Send an funny emoji birthday card to your son to let him know that on his special day he gets to live it however he wants to. 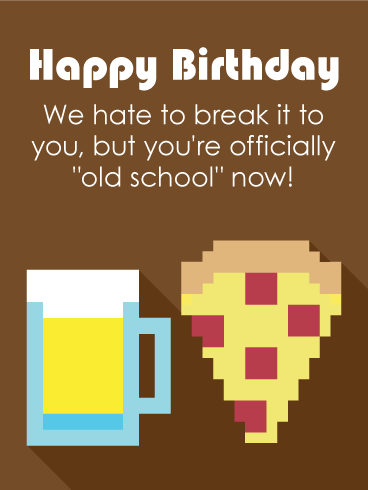 Funny birthday cards are always appreciated. 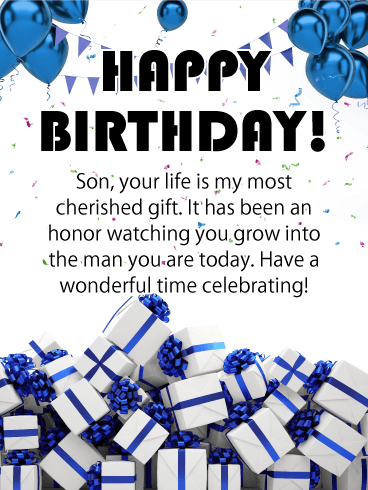 Your son's birthday is a great time to share a laugh. 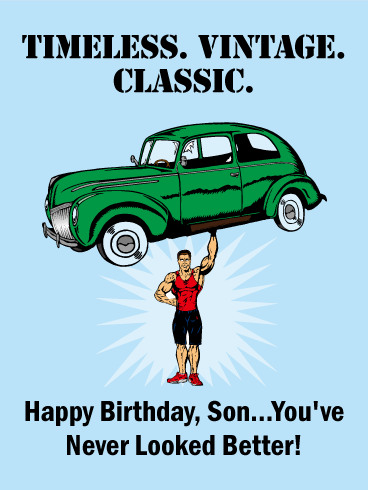 Wish your son a great day and send this hilarious birthday greeting card today.